Nature is filled with examples of one species benefiting from the efforts of another. 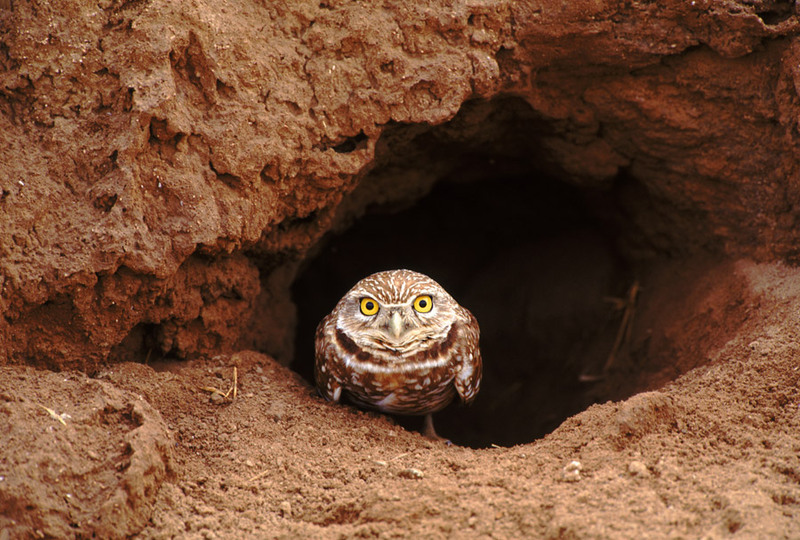 Take the Western burrowing owl and the tunneling species that unwittingly build their nests. The charismatic, pint-sized owls have stilt-like legs that help them spot predators but aren’t ideal for digging. So they rely on animals custom-built for the task, including prairie dogs, squirrels and badgers, to do it for them. Owls are most commonly associated with black-tailed prairie dogs. Just a few hundred years ago, these environmental engineers built underground networks on the Great Plains that measured 250 miles long by 100 miles wide, blessing owls with abundant housing. And the millions of bison that once roamed the plains gave owls easy access to dung, which they likely used to decorate their dwellings. But ranchers have long considered prairie dogs pests. And as Midwestern eradication programs systematically shot, poisoned and gassed the reviled rodents, burrowing owl populations declined along with them. Eradication programs aimed at marmots, ground squirrels and other burrowing mammals, combined with intensive development, have claimed prime burrowing owl real estate. In response, owls have taken up residence on golf courses, cemeteries, vacant lots in suburbia and irrigation canals on farms. And now the little owls that once bred in grasslands throughout North America are endangered in Canada and listed as endangered, threatened or a species of concern in nine U.S. states. In a paper published in The Journal of Raptor Research in June, University of Idaho biologist Courtney Conway sought to determine which burrowing animals the owls depend on throughout their breeding range. Conway mapped the ranges of several burrow providers against the owls’ range, then analyzed owl population trends over time, to see if their numbers varied with the presence of burrowing mammals. Four animal species, he found, act as primary burrow architects within 60 percent of the owls’ range: black-tailed prairie dogs, yellow-bellied marmots, Richardson’s ground squirrels and American badgers. Owl declines were most pronounced in the areas where they rely primarily on three of these species—black-tailed prairie dogs, Richardson’s ground squirrels and American badgers—in addition to California ground squirrels, Conway reported. All the animals have been persecuted as pests. Yet their conservation will likely be critical to the survival of Western burrowing owls. That means rethinking eradication programs and educating farmers and ranchers who see burrowing animals as threats to their livestock and livelihood. Many ranchers believe cows and horses will trip on burrows and break their legs and that tunneling rodents eat all the grass. 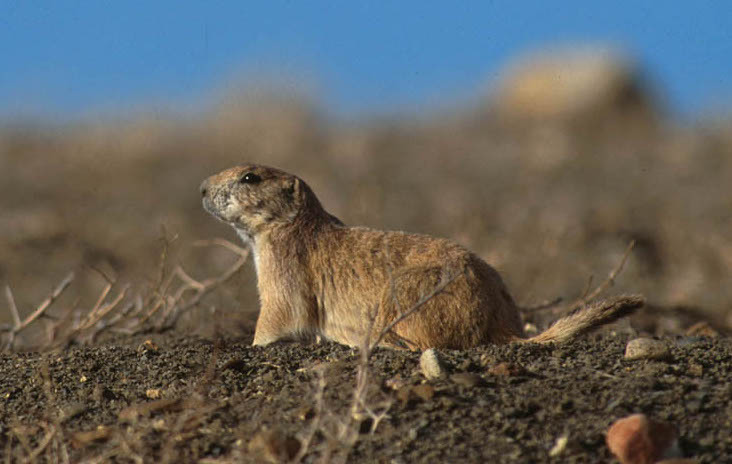 But livestock rarely fall into burrows, Conway says, and research shows that prairie dogs actually help increase plant biomass, which in turn attracts more rodent species and the predators that eat them. In fact, prairie dogs are the poster child for what ecologists call a keystone species: their engineering projects support scores of other species.